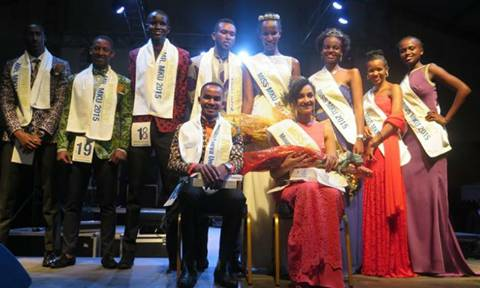 Ismail Nsengiyumva, and Farid Nadia Agasaro, were crowned Mr and Miss Mount Kenya University 2015, respectively. Farid Nadia Agasaro, a first year Mass Media and Communication student weathered stiff competition in the ladies category to beat eleven finalists while Nsengiyumva, a third year Bachelor of Travel and Tourism Management student emerged the winner in men's category after beating other eleven contestants. The two walked away with an iPad each, $1000 cash prize, full year tuition scholarship and a car.